From predictive analytics to instant decision-making, artificial intelligence (AI) is enabling progressive manufacturers to transform how they do business. In a time when digital assistants Alexa and Siri have become household names, it should come as no surprise that artificial intelligence (AI)-enabled ERP systems are also becoming mainstream. Originally leveraged to automate mundane tasks, today’s AI is equipped for heavier lifting. Manufacturers can now use such technology to carry out complex tasks, sift through masses of business data and make snap predictions based on the information at hand. Let’s take a closer look at some of the latest features of today’s AI-enabled ERP systems and how they’re helping forward-thinking manufacturers work smarter. Machine learning is a progressive function that is becoming more common in modern ERP applications. 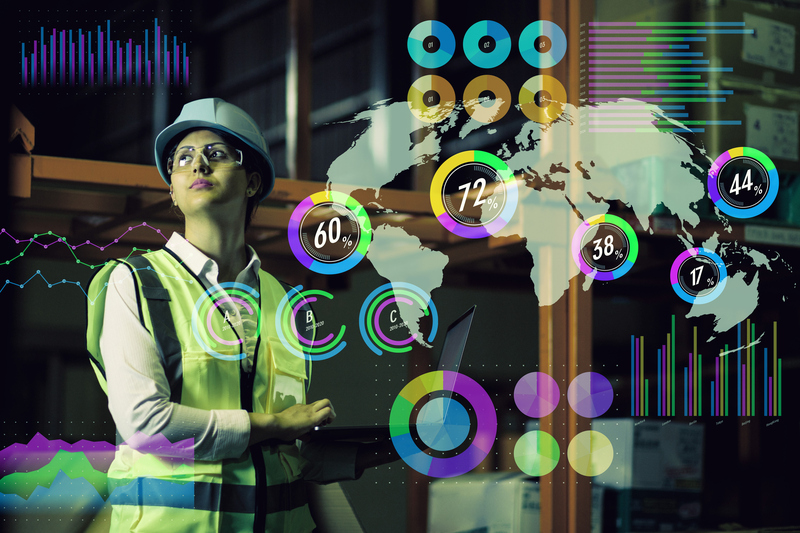 Through data mining and cognitive processing, machine learning can assist manufacturers in managing mission-critical operations like inventory management and predictive maintenance by helping them avoid problems and uncover opportunities they may not have seen themselves. For example, a machine learning platform like Infor Coleman AI, in conjunction with your ERP system, could create a model from your proprietary data to predict when product will go out of stock. Taking it a step further, the platform could also leverage external data (e.g., weather forecasts) to help you get ahead of an issue by alerting buyers to order early or notifying your team to adjust the manufacturing forecasts. Machine learning has also been proven to be a sophisticated decision-making tool. With the ability to run data models for what-if scenarios, it is particularly useful in big-picture business planning. Use cases include running the numbers for a merger or acquisition or when contemplating facility closure or addition. You’re always going to have employees who take a little extra time to learn the ropes of your ERP system. While it is the goal for all users to feel comfortable, the ability to “talk” to the system is a valuable user-friendly feature for less tech-savvy and infrequent users – not to mention it simply saves time. Today’s digital assistant-powered ERP systems allow users to ask a question through the voice interface in order to obtain the information they need – be it the price of a given service or the lot number of a recent shipment. No more navigating the system to search for the exact piece of data you need. Simply ask the question, and the AI platform’s digital assistant can parse your language, generate a query and quickly deliver a response. AI audio/visual tools are expected to an area of AI advancement in the coming years. When used in conjunction with your ERP system, this technology can match a given barcode and product image to information and ordering instructions for the corresponding product. Future iterations of this technology are expected to offer even more utility. For example, video is sometimes incorporated into production lines to assess and accept/reject each object as it passes at rapid speed. Future audio/visual AI tools will have the capability to make multiple decisions based on the given input. One use case would involve a drone capturing visual of an object in an inaccessible location to assess for maintenance needs; it would then deliver information on the required work as well as any replacement parts needed. The system could even be set up to automatically draw up a work order for the problem at hand – no human involvement required.